JERUSALEM -- The Palestinian minister of justice, apparently stung by an international outcry over the firing-squad executions of two Palestinians convicted of collaborating with Israel, offered an amnesty to other suspects yesterday. "Those who surrender will be pardoned, so long as they give themselves up within the next 45 days and reveal all their activities," Justice Minister Freih Abu Medein said. Meanwhile yesterday, Israel suspended peace talks for a day and sealed off the Gaza Strip after the kidnap and murder of a Jewish settler. About 100 Israeli settlers went on a rampage after his death, burning Palestinian buildings and cars. Mr. Abu Medein said seven alleged collaborators had surrendered since the executions of Alan Bani Odeh and Majdi Mikkawi on Saturday. The two were tried and convicted by Palestinian security courts, which gave them no right to a defence or an appeal. Two other men were condemned to death by a similar court in Bethlehem on Saturday. The men were accused of providing intelligence to Israel to assist in assassinating Palestinian militia leaders and officials, more than 30 of whom are believed to have been killed in recent pinpoint attacks. The European Union issued a protest against the executions and asked Palestinian leader Yasser Arafat to commute the two death sentences handed down Saturday. In Ottawa, a spokeswoman for the Department of Foreign Affairs said Canada is "deeply troubled" about the executions and is urging the Palestinian Authority to commute the other death sentences. "At this critical moment in the Middle East, we would hope that all parties would refrain from any deliberate action that aggravates the situation further," spokeswoman Valerie Noftle said. 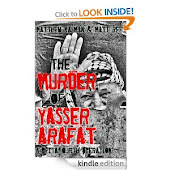 But Faisal Husseini, the senior PLO official in Jerusalem, said the Palestinian leadership should be more resolute in hunting down traitors and called on Mr. Arafat to "take a clear decision to execute the traitors." In the West Bank village of Burkin yesterday, a suspected Palestinian collaborator was shot dead by a hit squad at the door to his home. Earlier, the body of kidnapped Jewish settler Rony Tzalah, 32, was discovered in an onion field next to his greenhouse in the Israeli settlement of Kfar Yam in the southern Gaza Strip. He had been shot in the head. After the body was discovered, about 100 Jewish settlers went on a rampage, destroying nearby Palestinian-owned greenhouses and empty houses, setting fire to cars and trees, and shooting toward the homes of their Palestinian neighbours. No injuries were reported, but the Israeli army had to bring in firefighters to douse the flames. Mr. Tzalah's death provoked an angry response from Israel, which called off planned peace talks in protest, although they are due to resume today. "This is a serious blow to the peace process," said Israeli Prime Minister Ehud Barak, who is under strong pressure to call off all talks while fighting continues. Matthew Kalman is the former editor in chief of THE JERUSALEM REPORT and a sought-after media commentator and public speaker. 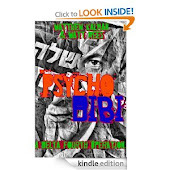 A correspondent and filmmaker based in Jerusalem since 1998, he has reported for TIME, Newsweek, the Boston Globe, London Sunday Times, USA Today, Toronto Globe & Mail, San Francisco Chronicle, New York Daily News, the Chronicle of Higher Education and the London Daily Mail. His television reporting includes PBS in the United States, Channel 4 News UK and CTV in Canada. He is a frequent contributor to radio news programmes in Canada and Britain. Matthew graduated from Cambridge University in 1983. He has an MA (Cantab) in History. 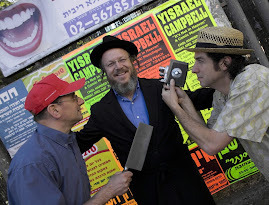 He co-directed the documentary Circumcise Me: The Comedy of Yisrael Campbell which has been selected for dozens of film festivals and events across the US, Canada, Australia and Britain. PLO warns international reporters not to use the term "Temple Mount"
Is Israel hiding the secret source of Christianity?